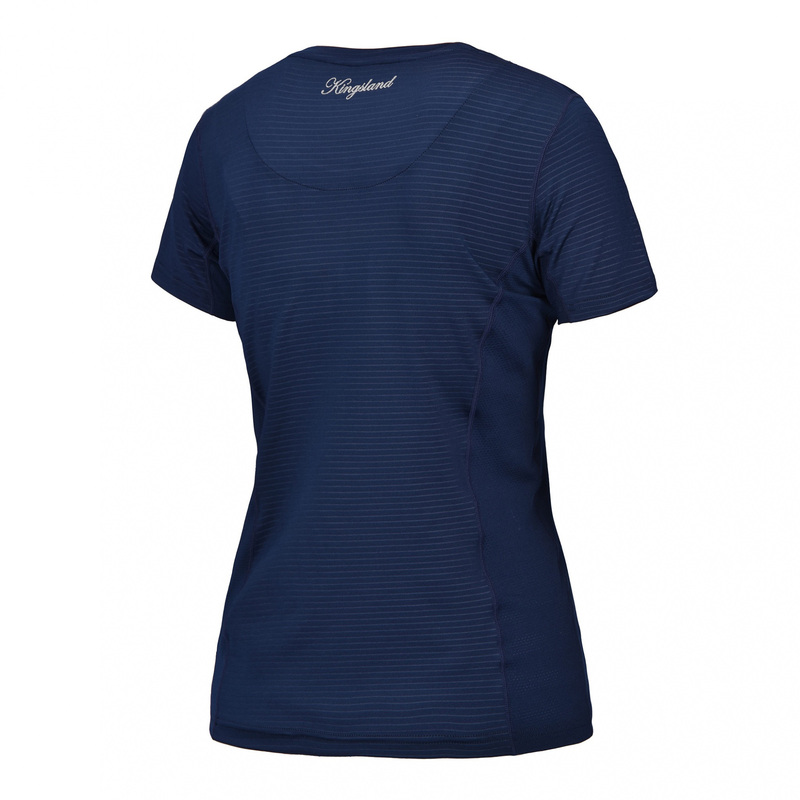 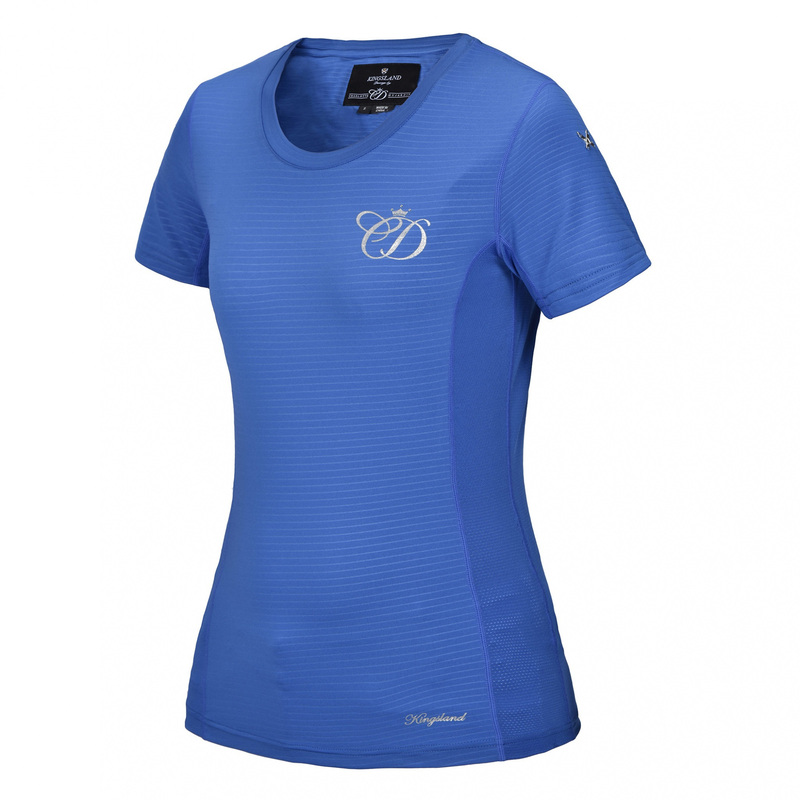 Ladies' training t-shirt with short sleeve, made of jersey with pressed stripes. 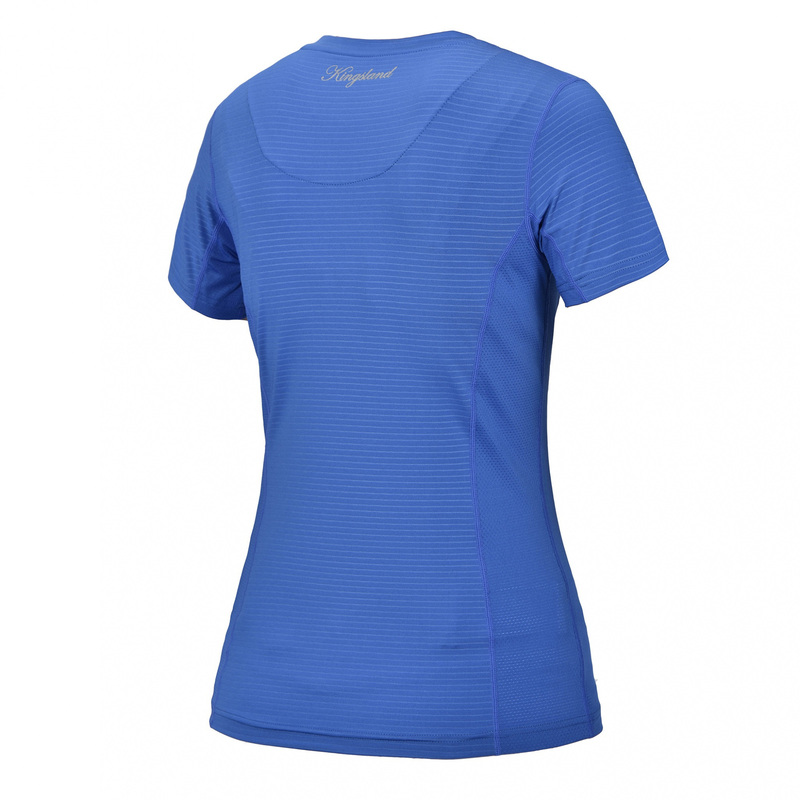 For maximal comfort and proper ventilation there are inserts made of special breathable mesh on the sides and sleeves. 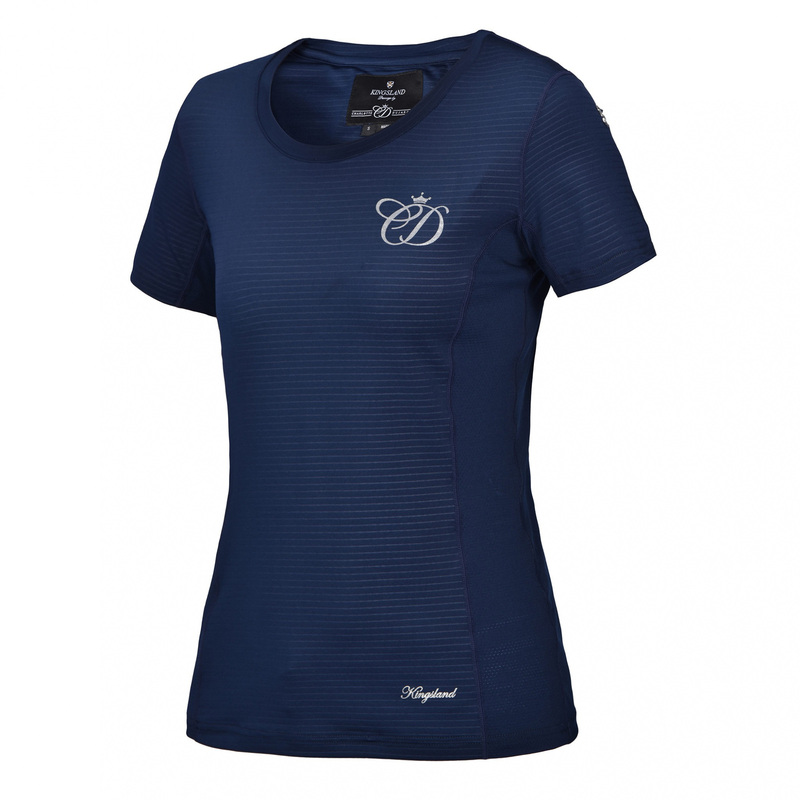 The shirt is decorated with printed Kingsland writing at the bottom and on the back and with Charlotte Dujardin's initials on the chest. There is a small metal KL cross on the left sleeve.